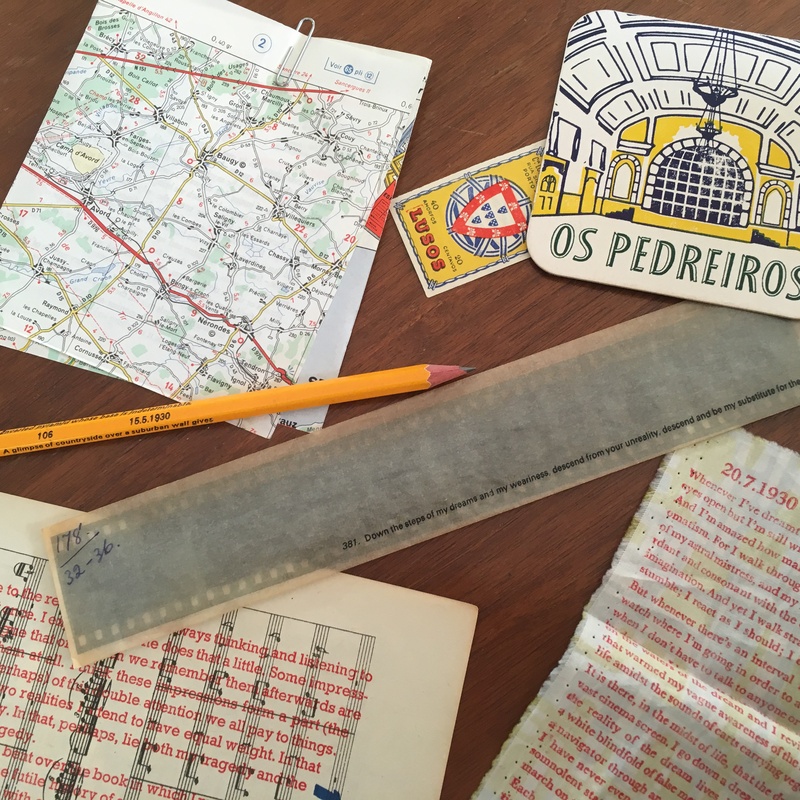 This site describes an edition of Fernando Pessoa’s “The Book Of Disquiet”, typeset by hand and printed by hand on a selection of various ephemera, and housed unbound in a hand-printed box. The whole thing is in an edition of 80, of which 50 were for sale. The book was printed through 2015 and 2016 and was published on March 24th 2017. If you have any questions please drop me a line: halfpintpress@gmail.com I do not currently have any copies to sell. 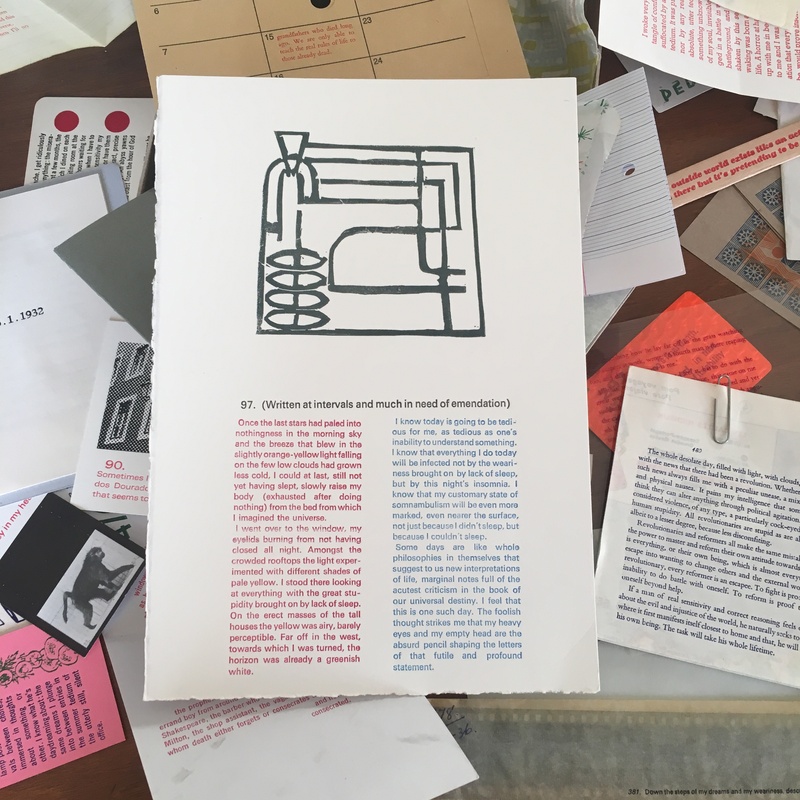 This site contains a blog to document some of the thinking behind the edition, describe the process of making some individual sections, and it hosts a gallery of some of the work. Others can write better, and truer, things about Fernando Pessoa than I can, but the salient facts for these purposes are that Pessoa (1888-1935) was a Portuguese writer who published very little during his lifetime. 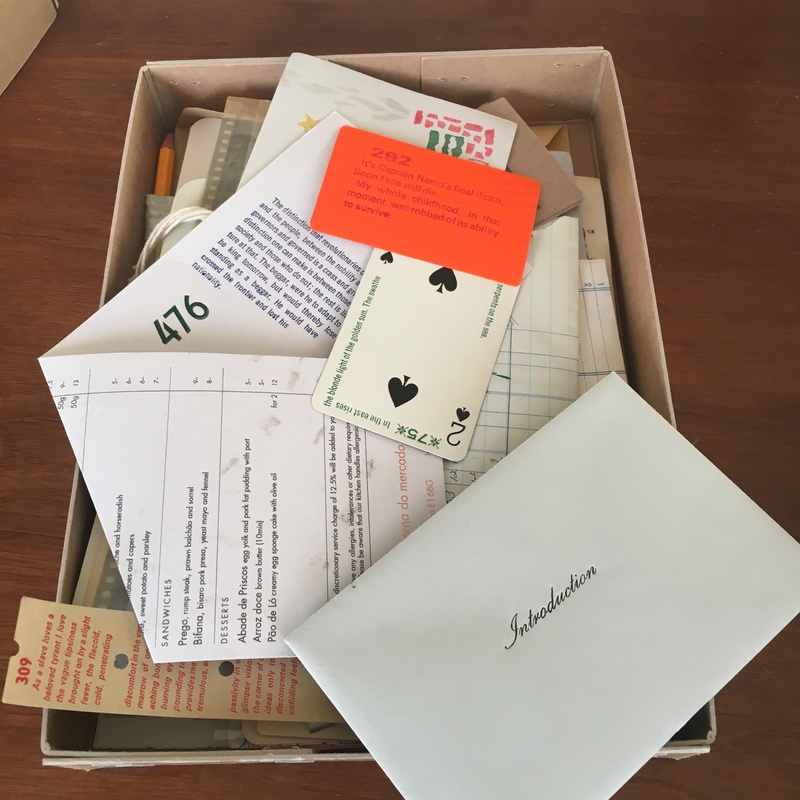 After he died, a trunk of writings was found in his room. He wrote using what he called “heteronyms”, invented characters whose thoughts and lives he set down. “The Book of Disquiet” is centred around the heteronym Bernardo Soares. “The Book of Disquiet” was never finished, and its sections were not in any particular order (though some are dated); different editions of the book select different sections and edit them into various orders. Part of the point of making this box of disquiet is to restore some disorder to the text. Published editions, quite properly and understandably, tend to order the sections to allow the book to flow, grouping sections which have things in common. Those connections are connections in the editing rather than the writing and I thought it would be interesting to encourage more randomness. Discussions and disagreements swirl around Pessoa’s intentions for the book: whether the written voice in the parts recognised as the “book” is Bernardo Soares’s alone, whether Pessoa planned to pull his work together into a structure… I don’t pretend to know enough to even be involved in those discussions! This project is not about imagining Pessoa’s ‘finished form’ of The Book of Disquiet, but is instead about making something which will look differently at the text as it stands, something hopefully rewarding in its own right. I am using Margaret Jull Costa’s wonderful translation of the Book of Disquiet, and I am doing so by kind permission of the publisher, Serpent’s Tail. More on this subject here: translation and permission. 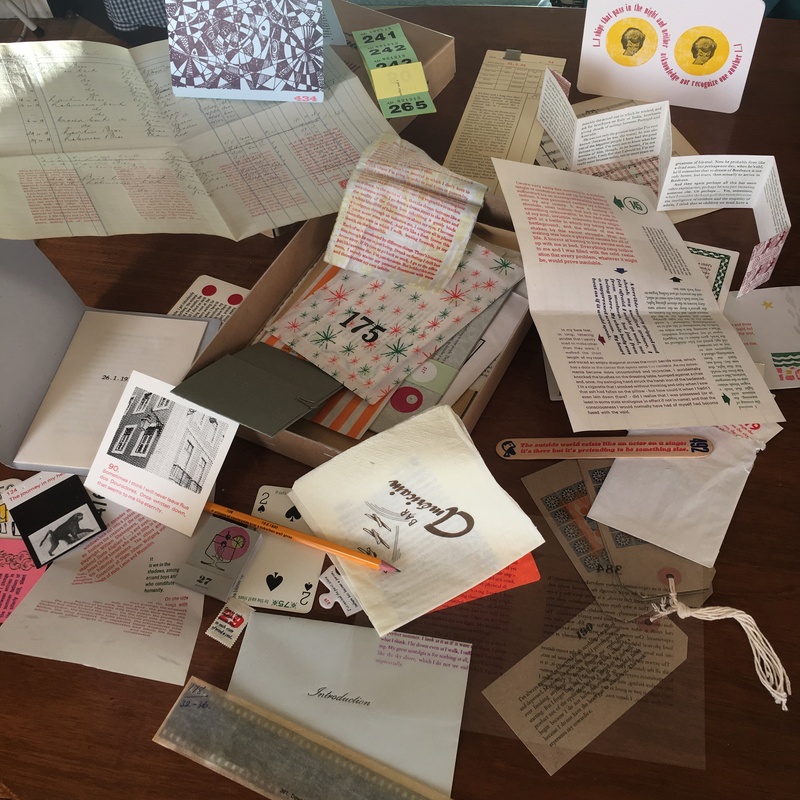 My name is Tim Hopkins and The Half Pint Press is the name I use to talk about my letterpress projects. I use an Adana Eight-Five (and sometimes an Adana Five-Three) and work out of a back bedroom overlooking Peckham Rye. There’s a website to cover Half Pint Press projects; if you’re interested you can see an ancient site of other bits and bobs I’ve worked on here: Half Pint Press. Is this for sale yet? I should buy a copy. Not quite yet – I’ll let you know (here and elsewhere) when it is (or when I’ve set a date). Should be in the next month or two! Hi Milene and Joana, I am afraid I have sold out, barring a few copies I’m keeping back for particular events later in the year and a handful being sold to collections by our friends at the bookartbookshop in London. Sorry! I’m afraid I’m not aware of any copies currently available to buy. Oh – wonderful project! How I would love one of these boxes! Could you keep me informed if you should ever produce another edition? Launch Party on April 6th! Exhibition!